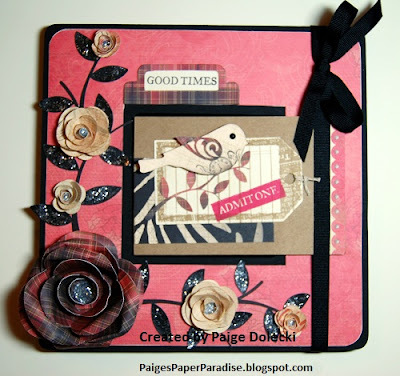 Paige Dolecki - Stampologist: Altered Journal and Pen set - a great holiday gift! 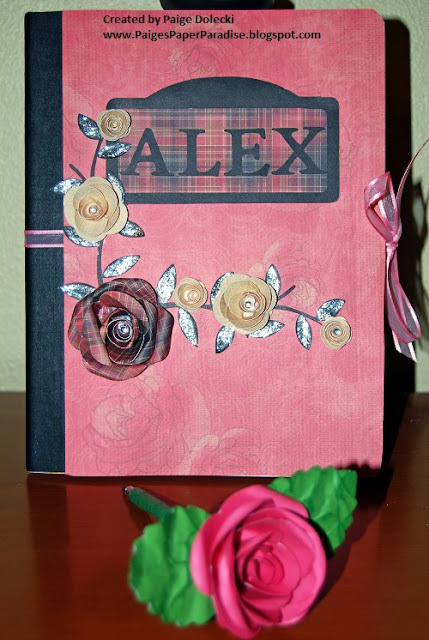 Altered Journal and Pen set - a great holiday gift! This is a set I put together for my son to give a friend for her birthday. It went together fairly quickly as the basic layout of the front with the black stems and roses was based on a project I made a couple of months back. I love covering composition books for a personalized gift - who doesn't love getting something beautiful with their name on it? Here is the inspiration piece found on this blog post. Hi there, Paige! Thanks so much for stopping by my blog and leaving such a sweet comment! I always love to meet new bloggy friends! Your altered comp book is fabulous. Beautiful card, too. What a great gift idea. LOVE those rolled flowers.